Amazon makes it super convenient to enjoy digital versions of almost any book title available. If you love reading Kindle books and purchase them regularly from Amazon, you're going to want to know about Kindle Unlimited. Kindle Unlimited is sort of like Netflix for Kindle books. You pay a monthly subscription fee for access to the full Kindle Unlimited library where you can read and enjoy as many Kindle books as you want. That's exactly why it's called "Unlimited." There are over one million book titles, thousands of audiobooks and now even popular magazines included in the Kindle Unlimited library. Just like you don't own movies you watch on Netflix or songs you listen to on Spotify, you don't own any books you read through Kindle Unlimited. You're essentially borrowing them until you're finished reading them and decide to remove them from your account—or until you decide to end your Kindle Unlimited subscription. Kindle Unlimited works in a very similar way to purchasing regular Kindle books. When you want to read a Kindle Unlimited book, you'll be able to add it to your account and deliver it to your devices with just one click. The only real difference is that you're not charged for the individual price of the book. Kindle Unlimited is $9.99 a month. Amazon offers a 30-day free trial so you can try it out and see how you like it before you decide to pay for a subscription. How Do I Sign Up for Kindle Unlimited? Follow these instructions to sign up for your 30-day free trial and start reading your first title. Navigate to Amazon.com in a web browser. There doesn't appear to be an easy way to sign up for Kindle Unlimited on the mobile app. 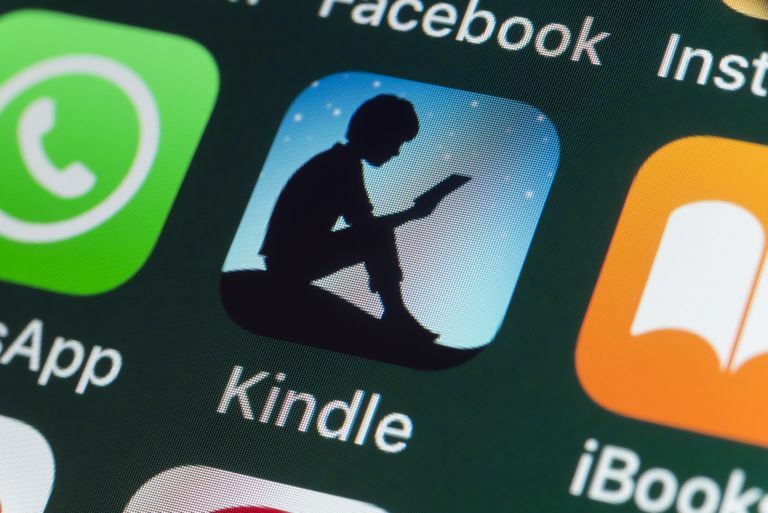 Although you'll certainly be able to start borrowing and reading titles through Kindle Unlimited with the app, we recommend signing up for the service from Amazon.com. If you're not already signed in, hover your cursor over Hello, Sign in in the top right corner to enter your login details and sign into your account. Hover your cursor over Shop by Department, then hover over Kindle in the dropdown menu. Select Kindle Unlimited in the secondary menu. Select an existing payment method or add a new one. If you use other Amazon services, you might already have one or multiple credit cards already listed there. You can select the one you want by clicking inside the circle beside your preferred credit card or add a new one by selecting Add a card to fill out your card details. Your credit card won't be charged until your 30-day free trial is up. If you decide Amazon Unlimited isn't for you, all you have to do is cancel your subscription by the end of the 30-day trial to avoid being charged. Select the yellow Continue button. Once you've successfully signed up, you'll be taken to a page with suggested Kindle Unlimited titles to start reading. You can browse through these or see the full Kindle Unlimited library by hovering your cursor over Shop by Department, then hovering over Kindle in the dropdown menu and selecting Kindle Unlimited from the secondary menu. If you want to browse Kindle Unlimited titles on the Amazon mobile app, the best way to do it is to use the search field at the top to do a search for "kindle unlimited," "kindle unlimited books" or a related term since there's no dedicated section in the menu labeled Kindle Unlimited like there is on Amazon.com. When you're ready to start reading your first book through Kindle Unlimited, select the title to go to its Kindle page and select the gold Read for Free button to the right of it. The title will automatically be added to your content and any devices you have integrated with your Amazon account. When you're browsing the Kindle Store in general, all titles that are part of Kindle Unlimited will display a "Kindle Unlimited" badge at the top of their book covers in gold and black. To see all of your Kindle Unlimited titles, hover your cursor over Your Account in the top right, select Your Account from the dropdown menu and then select Content and devices under the Digital content and devices section. Select the menu option that's set to Books by default in the top left and select Kindle Unlimited from the dropdown menu. This will filter out all individually purchased books, audiobooks, apps and other types of content so all you see are the Kindle Unlimited books that you've added. Select the checkbox beside any title and then use the buttons at the top to deliver it to any of your devices, delete it or add it to a collection. You're now all set to read and enjoy your newly added Kindle Unlimited books on your Kindle device, on your iOS or Android device through the Kindle app, on your Mac with the Kindle Mac app or on the web with Amazon Cloud Reader. Even though you can enjoy an unlimited number of titles through Kindle Unlimited, you can only keep up to 10 titles in your account at a time. If you already have 10 in your account and want to add more, you'll have to delete at least one title to make room. How Do I Cancel My Kindle Unlimited Subscription? If you decide that you want to end your Kindle Unlimited subscription either before or after the free trial, you can easily do that by navigating to your Kindle Unlimited Membership page and selecting Cancel Kindle Unlimited Membership in the left column followed by End Membership on the next page. If you already have an Amazon Prime membership, you might not need Kindle Unlimited at all since you automatically have access to Amazon Prime Reading.